We now have blogs! 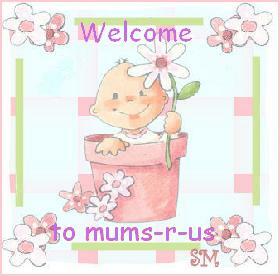 Feel free to start a blog, or add your existing blog to the mums-r-us community one!! Completely free, and a place to let of steam! You can make it a daily diary, pregnancy diary, baby diary, or just somewhere to write down your feelings! Ok, I've been messing around with it, and it can be confusing at first, although I think that's because my homepage is completely different to a members page, me being the admin of it. Seems obvious, but I was looking on the homepage and my account to do it! If anyone needs help, please ask and I'll be glad to help. When you log in, you'll be taken straight to your account. Go to your weblog and post an entry. Post it in general. Then go to your account, edit weblog, and along the top scroll your mouse over the options until you see 'categories'. Then edit the category to name it 'Gem's blog' or whatever you want to call it. You can make multiple logs, so one for each child for eg. That's so cool! Ou very own mums-r-us blog!!!! I really shouldn't be this excited! I can't do one now, watching BB! lol But I'll be onto it soon!